Some of our art students were involved in a hands­-on workshop with two visiting artists on Tuesday, March 10. Louise Evans works in felt and Jonathan Edwards is an illustrator. 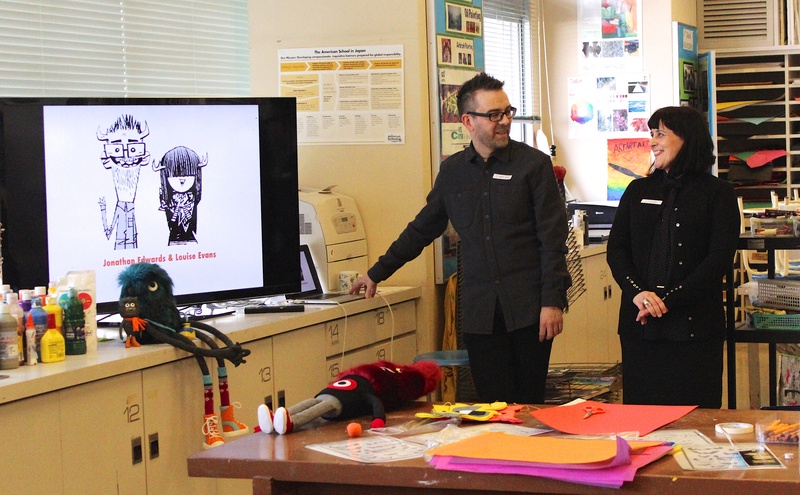 Louise and Jonathan shared their fun and creative characters with the students while discussing how they became professional artists. They showed examples of their varied projects and worldwide collaborations, including mascot design, advertising, videos, animations, books and ad campaigns for teen help centers. After the presentation students used a variety of crafts materials and glue guns to create their own characters, inspired by Louise and Jonathan’s creatures. They are currently on display in the MS commons. 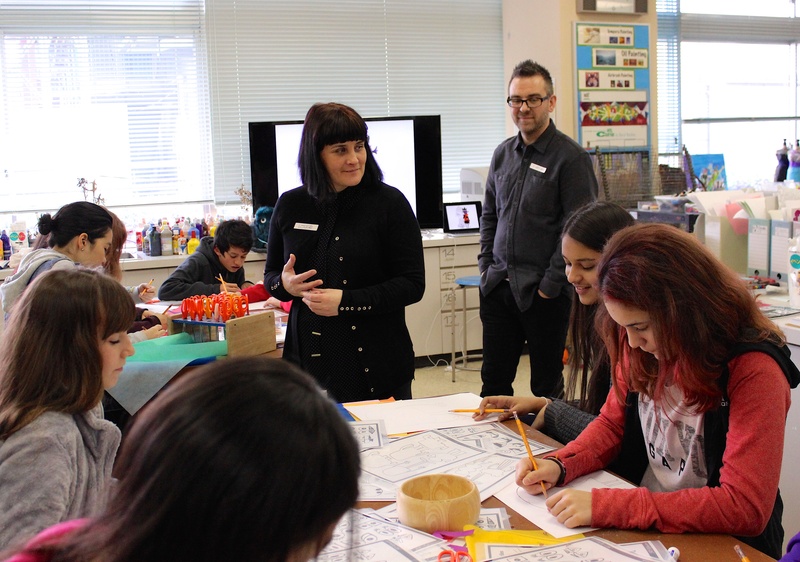 Tanja Kerbs, (MS Librarian) and Linda Hayakawa (HS Librarian) helped facilitate the artist’s visit to our Middle School. Ms. Claudio (MS Art Teacher) and Ms. Swist (MS Art Teacher) combined their classes on that day to maximize student exposure to the two artist.